The Campo Family YMCA welcomed Jarrod Williams and Kym Wallace to its leadership team as it continues to provide a safe place where community members can go to feel supported, improve their well-being and create meaningful experiences in their lives. 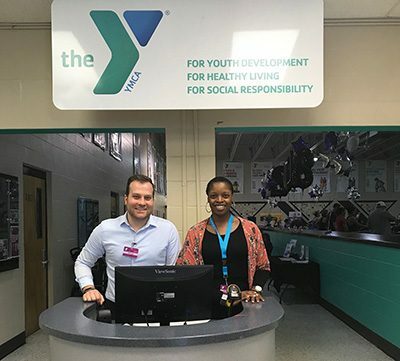 The Tampa Bay area’s largest YMCA has new leadership gearing up to make better connections with the community and showcase what it has to offer. Jarrod Williams has been named executive director of the Campo Family YMCA in south Brandon, which until recently served all of southern Hillsborough County. Williams arrived here from Cleveland just weeks ago, and hit the ground running, he said. Kym Wallace joins him as the new membership experience director. Both have previous Y experience. For those who have never checked out the Campo Y, it is hosting a carnival day Saturday, Jan. 27, from noon until 2 p.m. with a bounce house, games, food trucks and trial classes so people can get a taste of what it’s all about. Williams came here from the YMCA of Greater Cleveland. He served as executive director of the Sandusky, Ohio YMCA. He also served as association executive director of youth sports and development, responsible for creating a nationally recognized youth basketball partnership with the Cleveland Cavaliers. Williams still serves as an advisor for YMCA of the USA, helping to recreate the YMCA Youth Sports model. 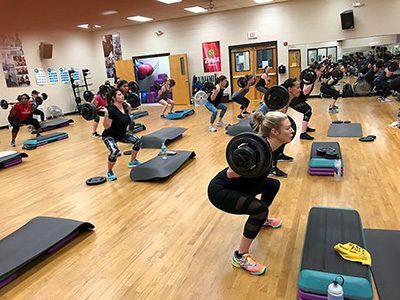 New cardio equipment has been installed and group exercise classes are taking place at the Campo YMCA. Both are anxious to get out in the community and to bring the community in. Campo has already begun a Hispanic networking committee to gather ideas about how to better serve that segment of the area’s population. Wallace said she would also like to bring in homeowner’s associations and similar groups to hold meetings at the Y, so they get the opportunity to see what it offers and give input. She also has visions of establishing a village market once a month at Campo, located on Culbreath Road off Bloomingdale Avenue, so members can purchase fresh produce. The Campo Family Y has more than 10,000 members, making it the largest Y in the Tampa Bay area. Williams said he does expect some people to transfer their memberships to the new Spurlino Family Y in Gibsonton, which should be fully up and running by fall. Most of those switches will be due to location, he said. “We will have different opportunities at each location so people can choose,” he said.